On April 15, Jackie Robinson Day is celebrated around Major League Baseball, commemorating the date the Robinson broke the color barrier in 1947. Each team around the league will wear 42 for today’s games, without a name on the back. That is in respect to Robinson, who wore number 42, and a famous quote by Pee Wee Reese, highlighted in the movie 42, saying that no one will tell the players apart since they all wore the same number. The first year the date was celebrated was in 2004, when then commissioner Bud Selig made the announcement with Robinson’s daughter, Sharon. This came seven years after the league decided to universally retire the number from baseball, minor leagues and all. 2019 will be the 15th year the celebration has occurred, and the 72nd anniversary of Robinson making his MLB debut. However the celebration has not always been welcomed. CC Sabathia, who is African-American, said back in 2007 that everyone wearing the number ruins the legacy of what it really means to the league and Robinson’s legacy. However, most current African-American players use it as a way to give thanks to Robinson, and some even give speeches, like Ken Griffey Jr in 2006. Robinson’s legacy was known from the moment he stood on the field. He broke down barriers for legendary players that followed him, including Hank Aaron, Barry Bonds and Lou Brock, all of which made their MLB debuts because Robinson did first. On top of that, the Orioles and Red Sox played an early game today to commemorate the celebration even further. That game started at 10:05 local time this morning. Is it Time for the MLB To Expand? Calloni’s Corner: Are Dominican Player Mistreated? Calloni’s Corner: Is Yadier Molina a Hall of Famer? Is Over Celebration a Good Thing for Baseball? 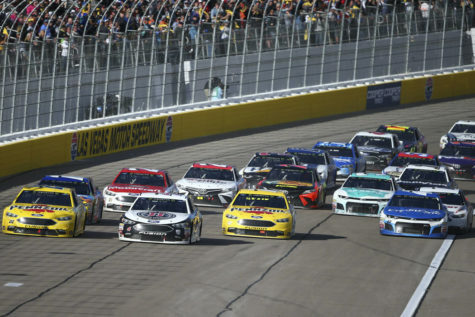 Calloni’s Corner: Is NASCAR a Sport? 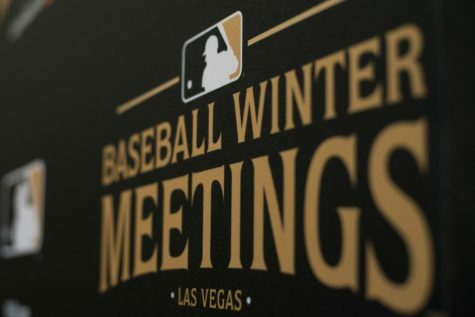 Rumors Spreading on First Day of MLB’s Winter Meetings.